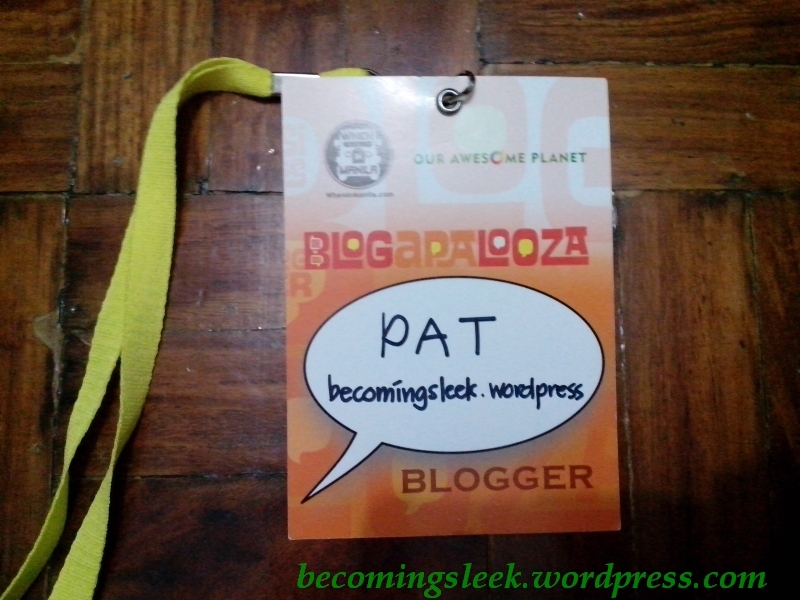 This year I got the chance to once again attend Blogapalooza. This year was bigger, with a lot of participating brands, and a mind boggling 700 participating bloggers and social media experts. Blogapalooza is a Business-to-Blogger event that aims to provide brands with direct access to bloggers and their readers. 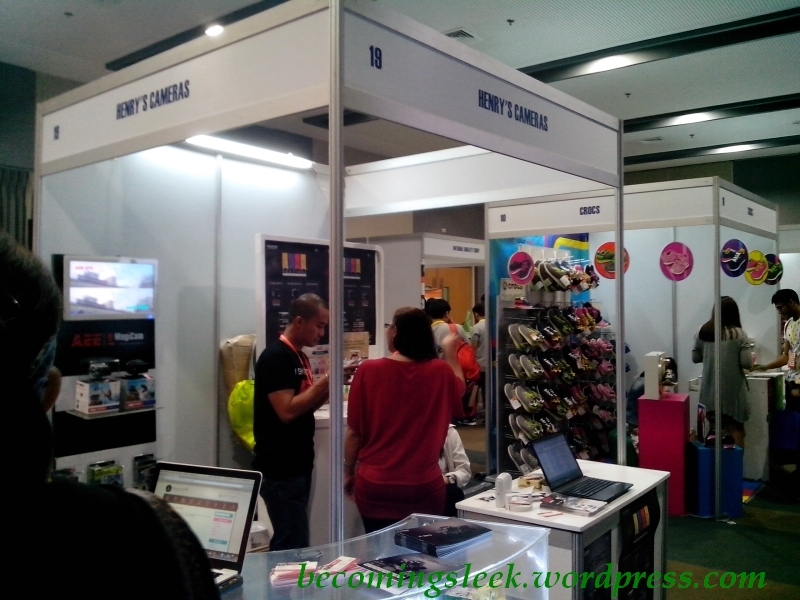 It happened last October 11 at the SMX Convention Center at SM Aura. 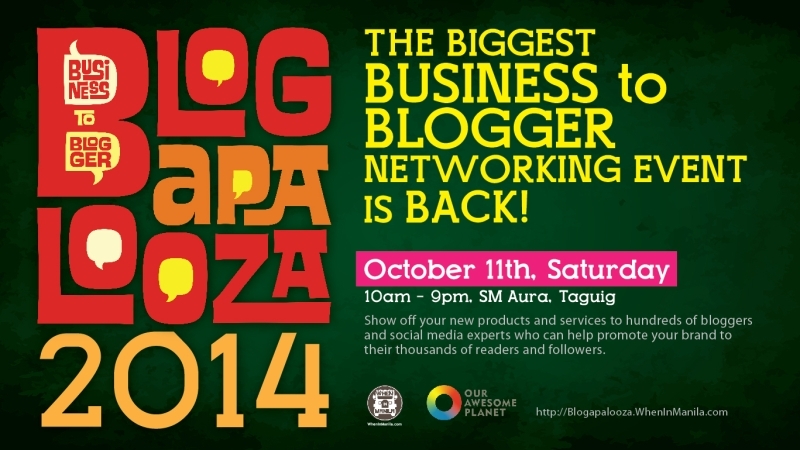 Read on to find out more about what went down at Blogapalooza 2014! I was able to drop by the event venue at around 4pm. 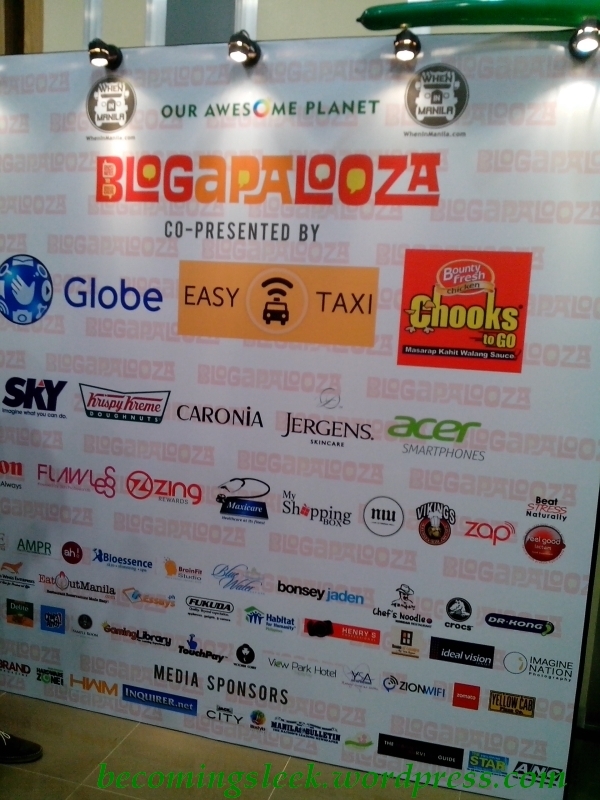 After registering, I was provided my blogger ID and the official Blogapalooza ecobag. 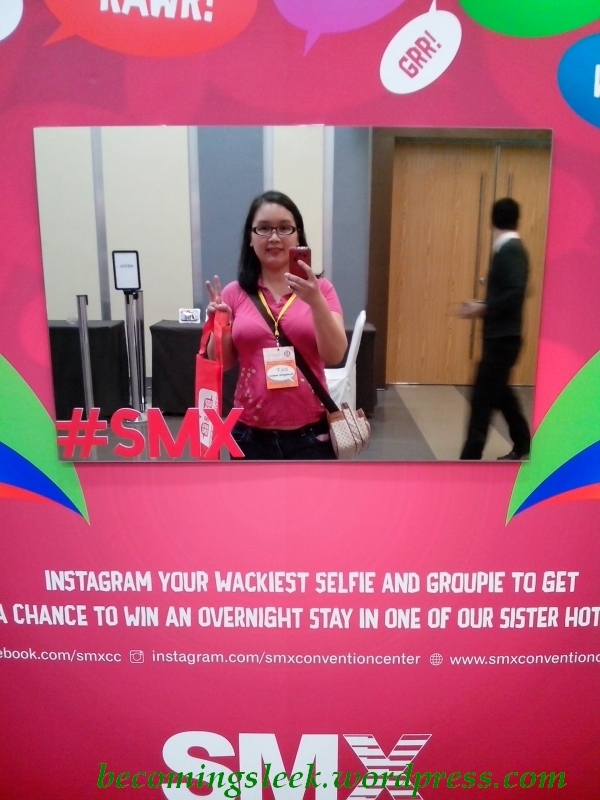 In the lobby area of the SMX Convention Center, there was a tarp which makes a nice background for a selfie. The tarp has a pretty nice list of the participating brands for this year. I didn’t take a photo here because there were lots of people there having their photos taken. Instead, I took a selfie at this other booth with a big mirror. 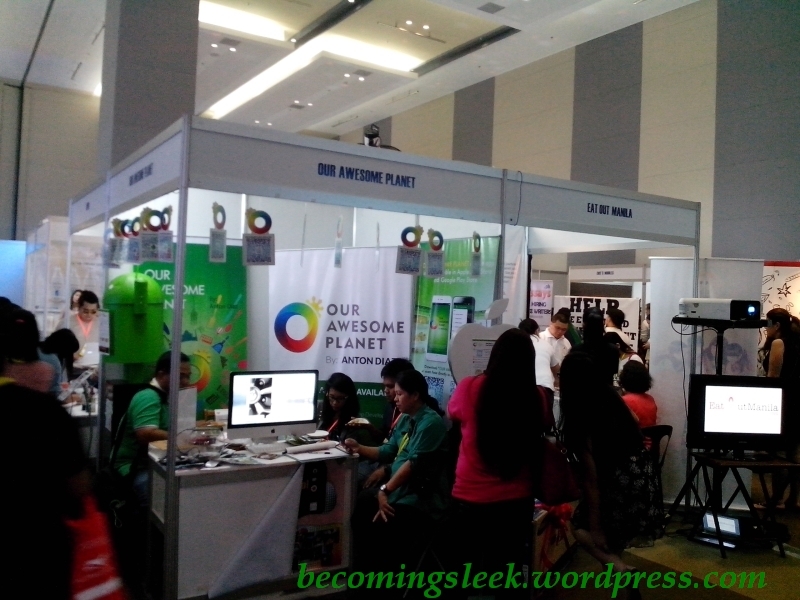 Here’s me with the Pat-peace-sign, my blogger ID, and the Blogapalooza ecobag (empty for now). Here’s what greeted me when I entered the hall. 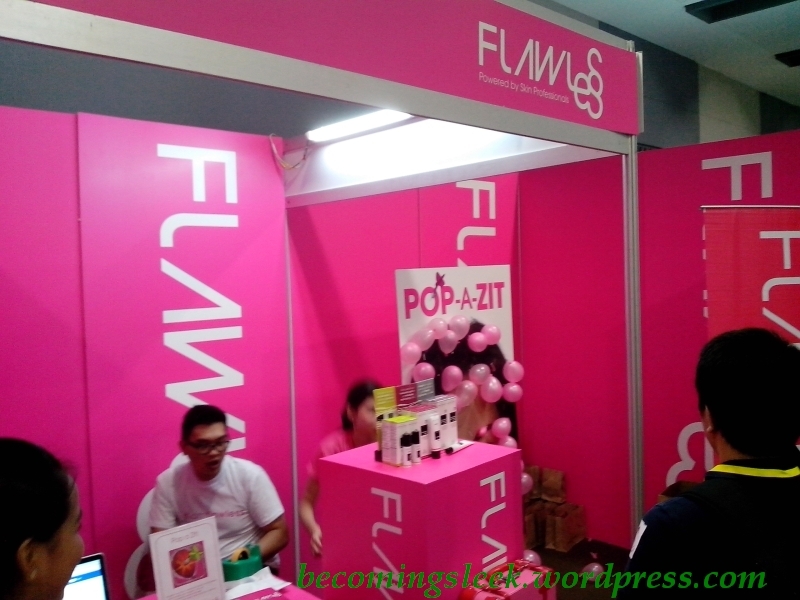 Lots of booths from participating brands lined up neatly and lots of milling bloggers interacting with them. 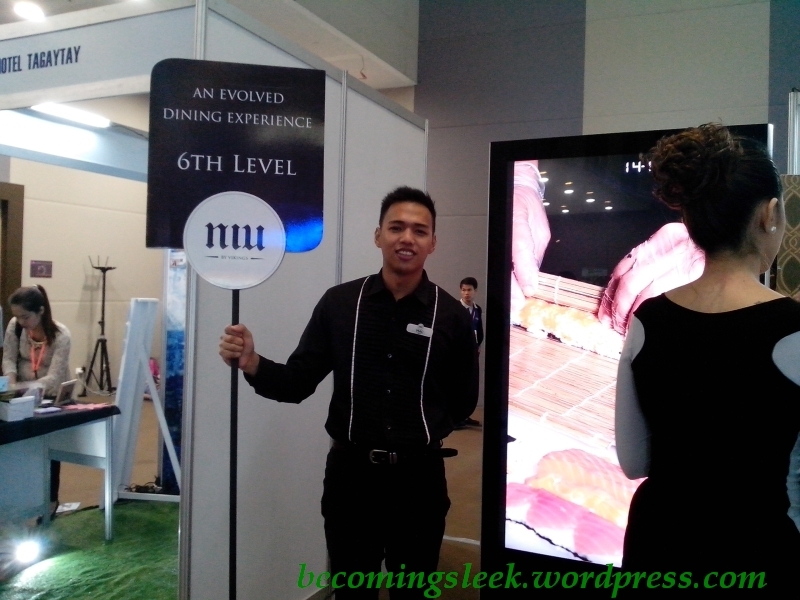 One of the first booths I visited was from Niu, a new buffet restaurant presented by the same dudes that did Vikings. The booth guy gamely allowed me to take his photo. Niu had a very nice table display of a representative of their offerings. I liked that their main display had maki rolls and sushi and tempura. 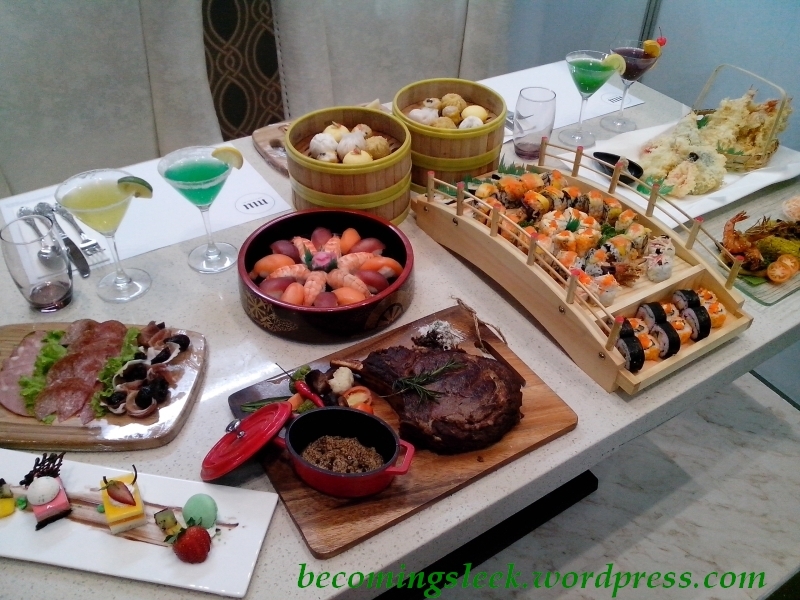 There is also some dimsum, a nice slab of some roast, some cold cuts, dessert, and some drinks. They did not have actual samples that they gave out though, but knowing that they are the same guys as Vikings I have no doubt that the food will taste great. Niu is located also in SM Aura. One of the next booths I visited next was Authority Hoodie (ah!). They sell really nice looking superhero-themed hoodies and my favorite, Toothless plushies! 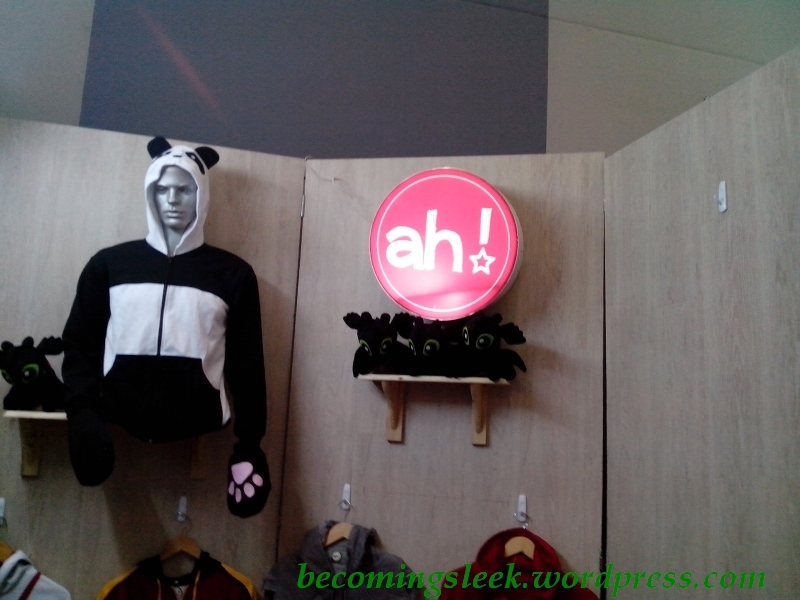 Check out that panda hoodie on the mannequin, it has paws! 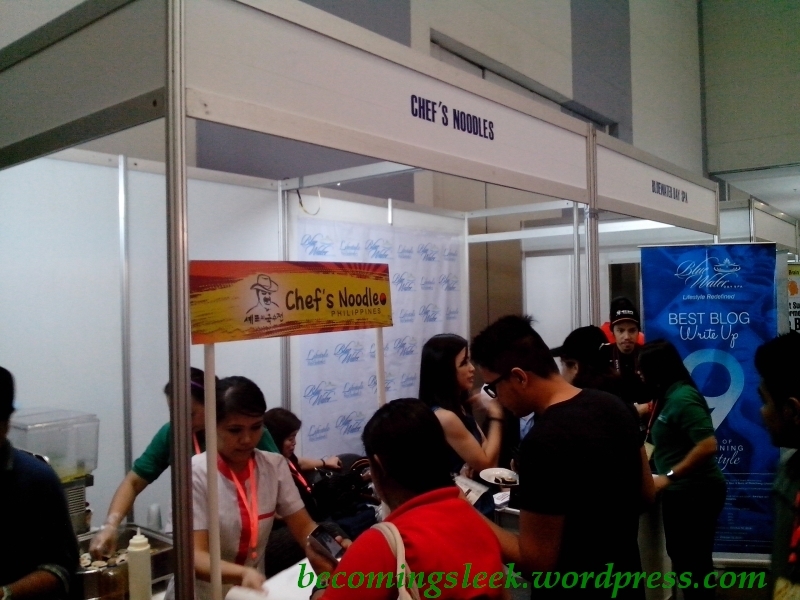 Next is the Chef’s Noodle booth. This booth was one of those that offer food samples. 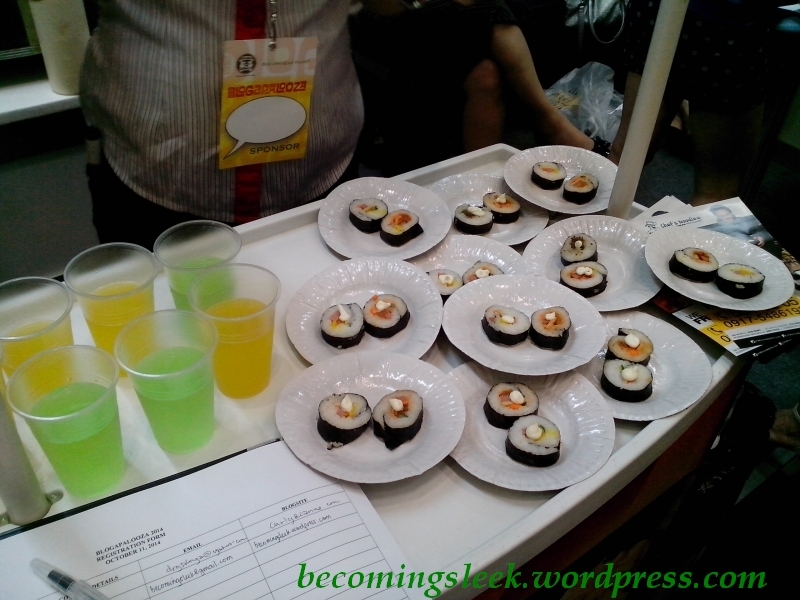 After signing up on their form, they give out a plate of two Korean sushi (a plain kimbap and a kimchi kimbap) and a small glass of green tea or mango juice. They also had a beer pong-type of activity. If you get one of your three pingpong balls in the center cup I think you get a baseball cap. I was close, but didn’t quite achieve it. I instead got a notepad for my efforts. The Henry’s Cameras people were very friendly. I was instructed to have my photo taken by their Instax camera guy for a chance to win the Instax Share Smartphone Printer. Immediately beside them is the Sampleroom booth. They give out a welcome giftpack for new members I think. As I already am a member, I was given a notepad. You can take a creative selfie in their nicely set up booth for a chance to win a Burts Bees package. I paused in the middle of my rounds to take a photo of the stage. 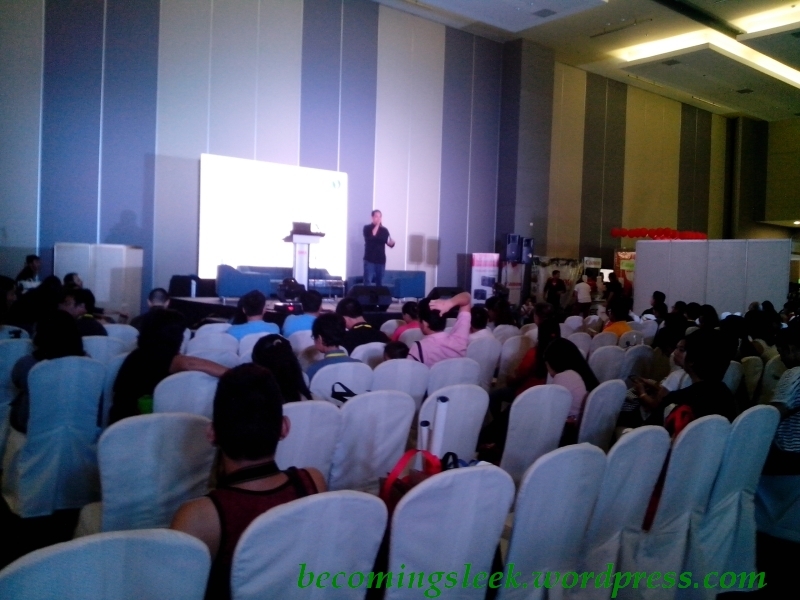 A presenter was currently doing his talk, and lots of attendees were seated listening to him. Right next to the presenter area was one of Blogapalooza’s main men Our Awesome Planet where they were promoting their app. OAP has curated a list of his recommended restaurants and you can access this list along with menu, map, blog post, and other stuff through the OAP app. Behind them was Eat Out Manila, another dining app this time for restaurant reservations. Among their notable list are the familiar Gloria Maris, Heaven and Eggs, IHOP, and Todd English Food Hall. 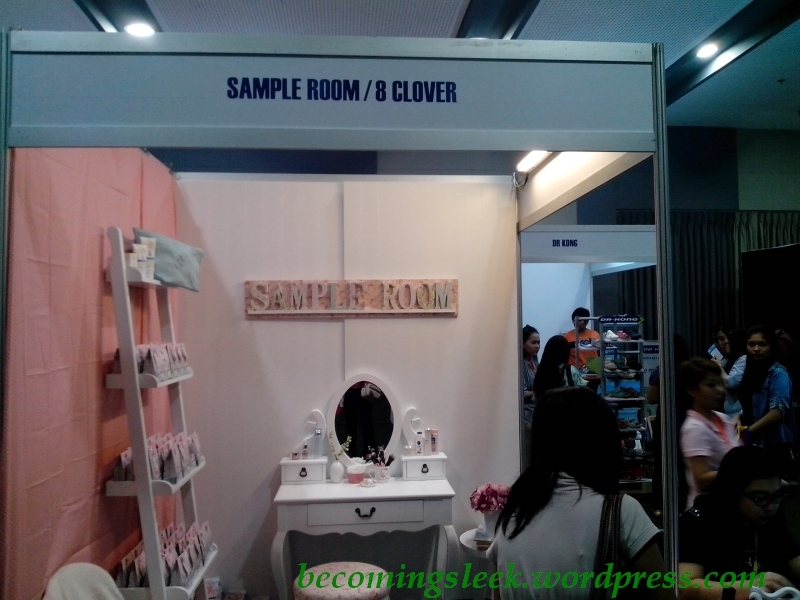 One of the beauty-related booths was Flawless. After registering, participants are given three darts to try popping some zits (aka balloons). I hit two, and was provided two gift packs each containing their night serum and day cream. Other booths that I visited but neglected to take a photo are: Imagine Nation Photography, where they had a nice booth set up where you can have your photo taken by a professional photographer; AMPR, where they had a cool game very similar to boggle but with only five letters (I also learned then that they handle the PR for Snoe); Crocs Philippines, where they gave out this cool crocs guy with shades keychain; and Ideal Vision Center, where they gave out a VIP card and gift certificate upon registering. Here are the stuff I got from the event. I’m particularly happy to be able to try the Flawless stuff and get another bottle of Snoe Honey Bath Syrup. In conclusion, it was a successful event especially if I were able to spend more time. As it was, I had to go to work right afterwards so my time was cut short. 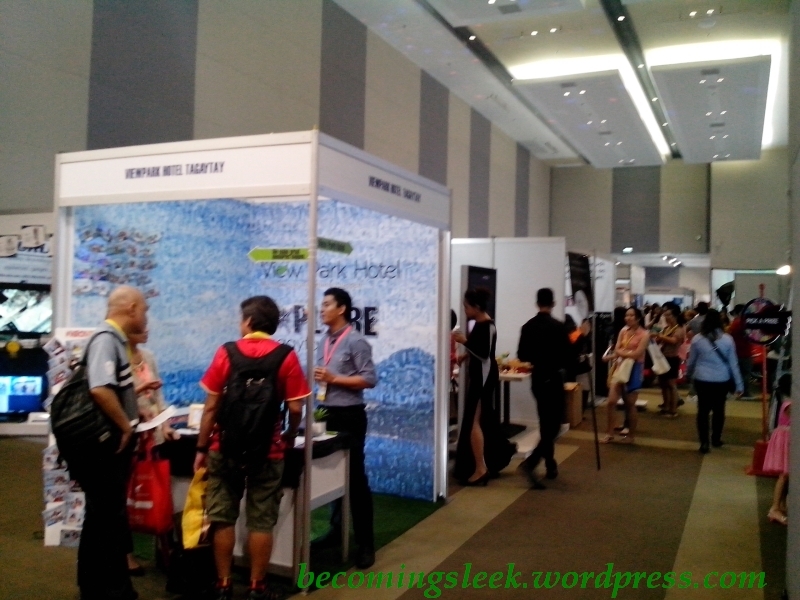 I was not able to visit more booths and listen to some of the presentations. 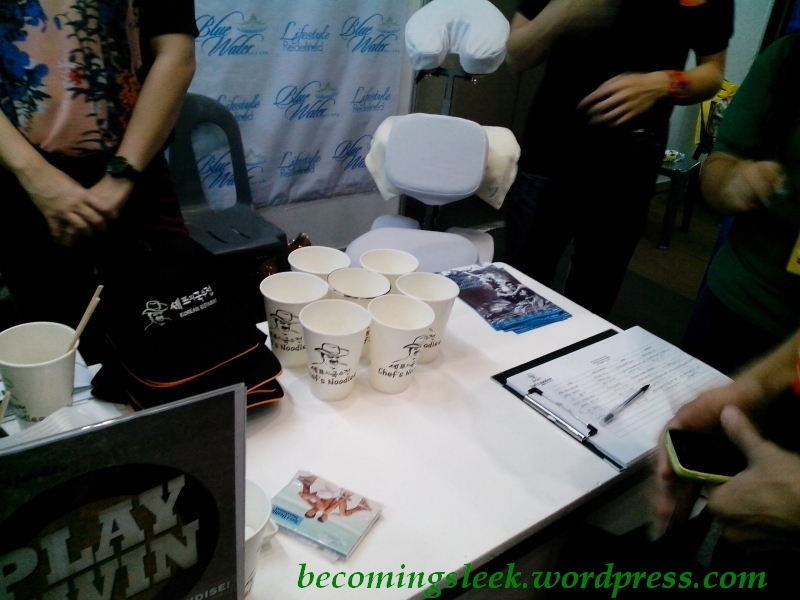 You can also read about my Blogapalooza 2013 experience. I was thinking of going but “katamaran” came and made me slept the whole day na lang. Ganun din nangyari sakin last year. Haha! It looked like a fun event though. It was nice bumping into you again. 🙂 Btw, are you going to BDJ Fair? I was there & really had fun because we won some games!